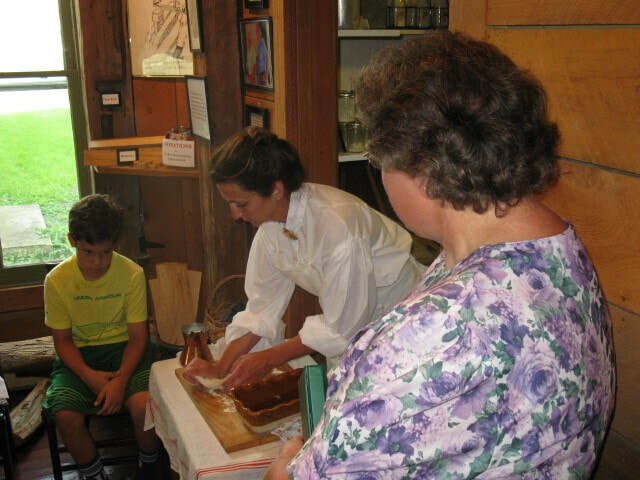 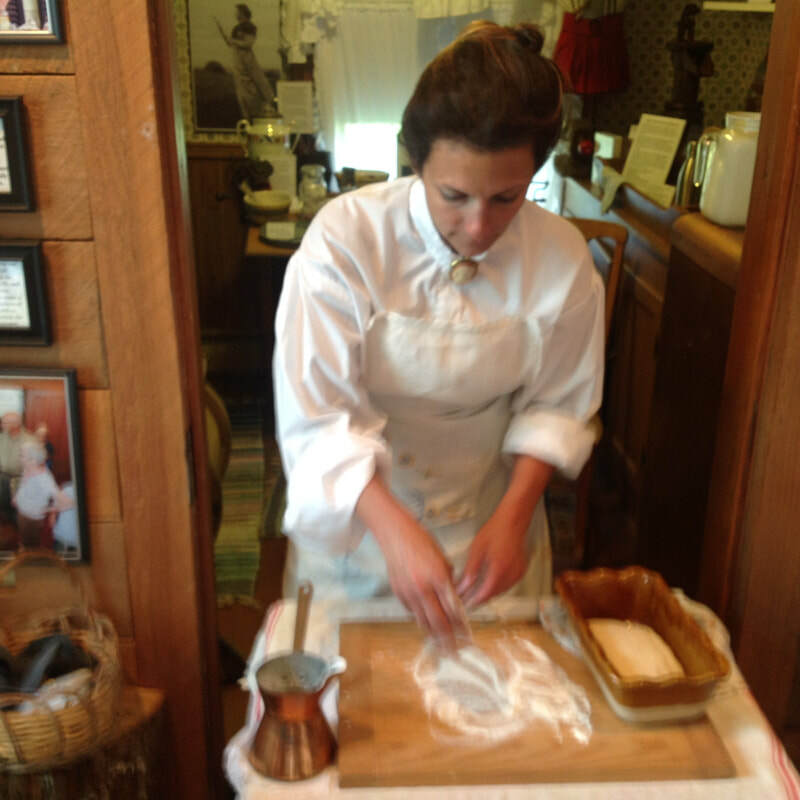 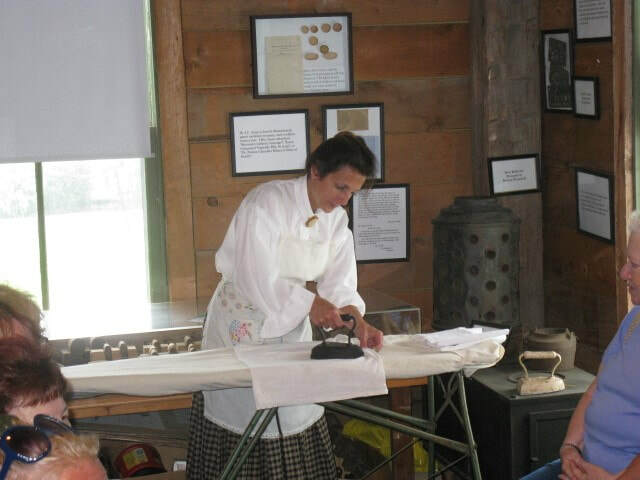 On August 12, 2017 at the Saddlemire Homestead Great Aunt Nellie, aka Anna Lefkaditis, demonstrated typical daily chores in a tribute to the “improvements” that eased weekly household chores at the close of the 19th century. 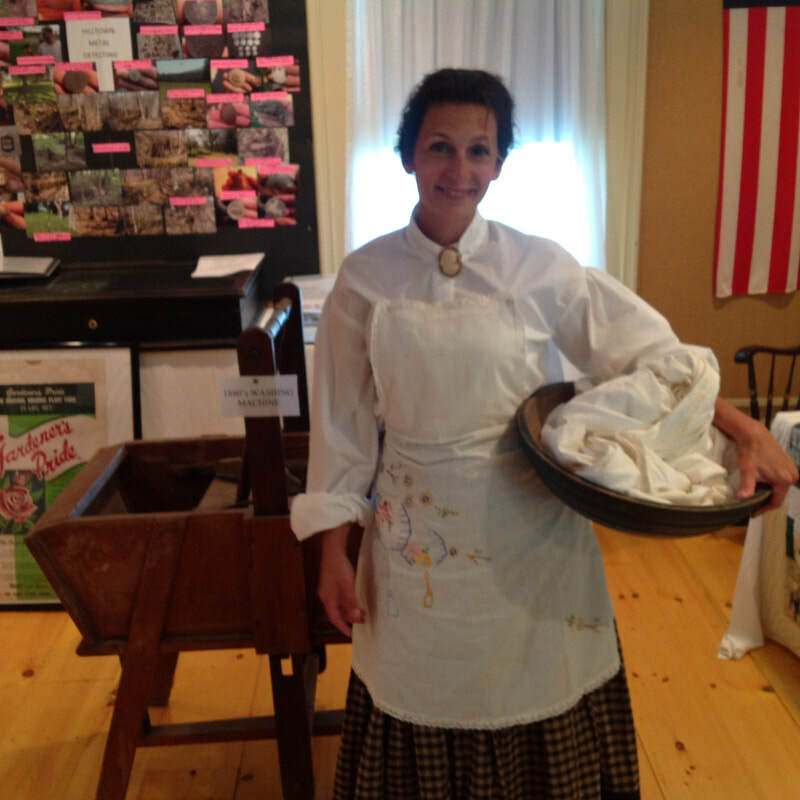 A washing machine, made in Knox, is in the background as Great Aunt Nellie gathers her laundry. 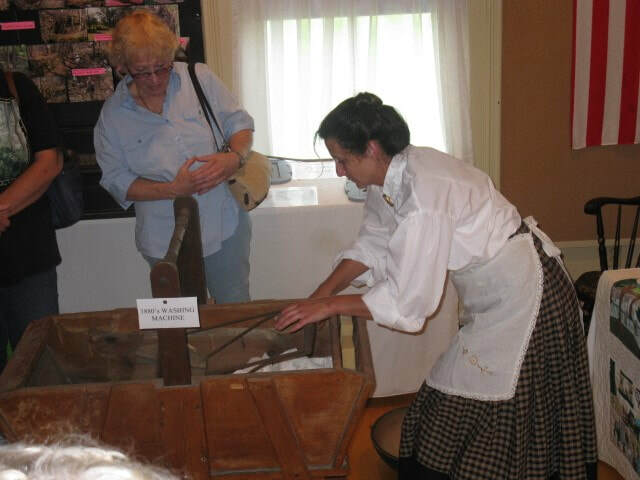 Great Aunt Nellie demonstrates the use of a flat iron, a hot arduous job. 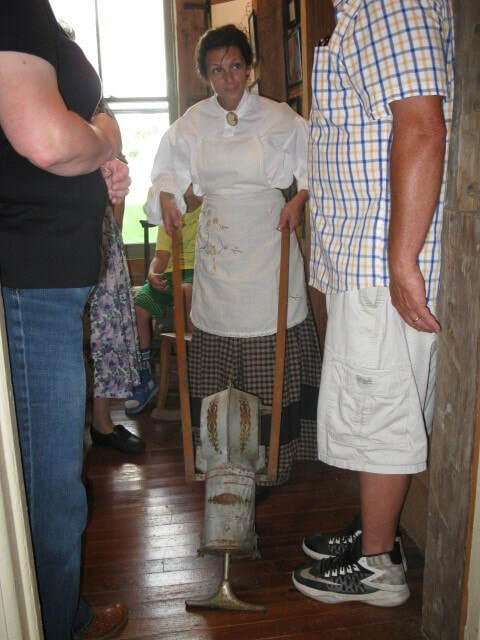 Great Aunt Nellie uses human power to operate her vacuum. 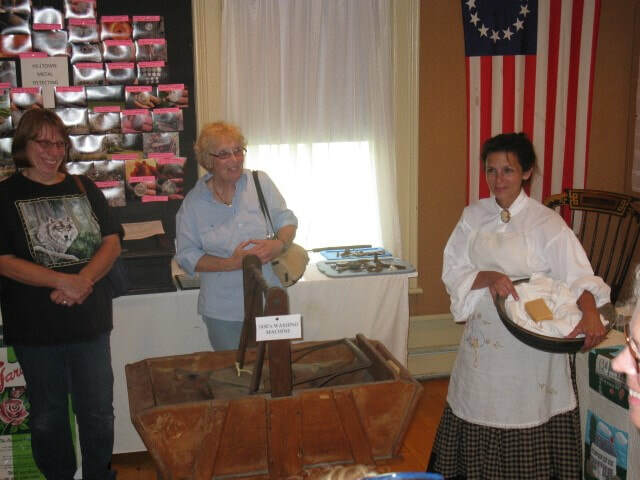 Great Aunt Nellie demonstrates the art of making bread. 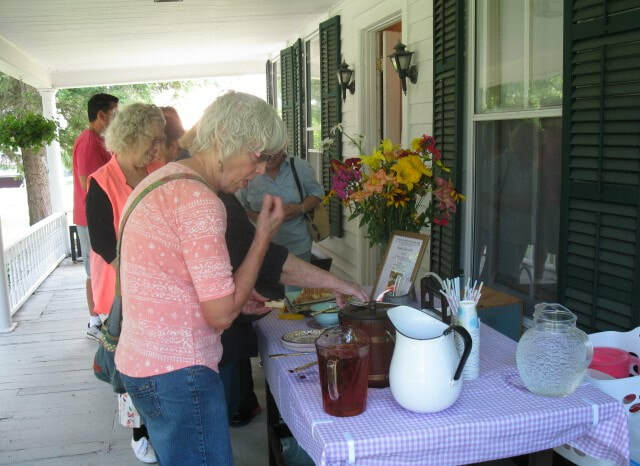 Visitors to the Saddlemire Homestead enjoyed refreshments on the porch.